Greetings, Stampers! Earlier this month, I held a masking technique class. We made three cards using different masking techniques. 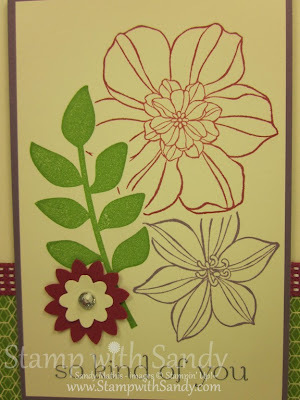 This was the first of the three, using the Secret Garden Stamp Set. I'm finding so many uses for this set! 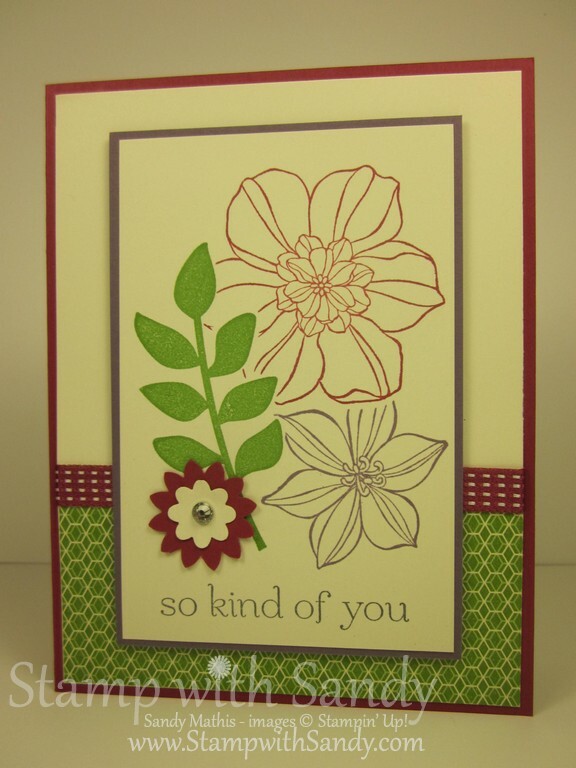 This card uses the traditional masking technique. First, the leaf was stamped in Gumball Green. We used the Big Shot and Secret Garden Framelits to cut a mask from scrap paper (very convenient). Then we used temporary adhesive to attach the mask to the stamped leaf image. The large flower was stamped and then masked using the same process. 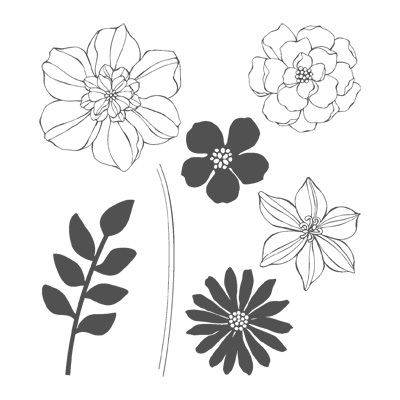 Finally, the last flower was stamped and the masks removed.